Rapid cycle time of 5.3 minutes for the Nitrogen/Protein model. Extended reagent lifetimes, including a reduction reagent tube lifetime of over 4,000 samples. 100-sample position autoloader for sequential and non-sequential analysis. Horizontal ceramic furnace with an exclusive trumac boats hl sm 1oxygen environment ensures the complete oxidation of macro samples with maximum temperatures up to 1450 °C. Large, open, and reusable ceramic sample boats facilitate the handling and combustion of macro samples (mass up to 3 grams. Sample ash retained in boat for post-analysis removal eliminating furnace tube maintenance. Thermal conductivity cell supports the flexibility of using either helium or argon as a carrier gas without a hardware change. Reagent free, high-efficiency furnace with intelligent 928 series Comb Tube sm control optimizes furnace reliability by extending the heating element and ceramic lifetime. Thermoelectric cooler eliminates the use of chemical desiccant reagents for the removal of combustion gas moisture. 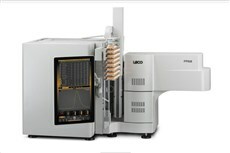 Combustion gas aliquot system provides an extended and consistent reagent lifetime regardless of sample mass, matrix, or carbon content, including a 4000 sample reduction tube reagent lifetime. Boom-mounted touch-screen user interface with cn 928 front door open sm Copysix-axis adjustment promotes an ergonomic workspace and optimized workflow while reducing system bench space requirements; instrument side panel provides access to powerful software diagnostic, troubleshooting, and control features. Open access to all reagent tubes and common maintenance areas with quick-release features speeds up and simplifies preventive maintenance routines, ensuring a robust and reliable instrument with superior uptime. There are no threads in LECO Corporation 928 Series Reviews at this time. Fenner T122111 B-LOC Series B112 Keyless Bushing Locking Shaft Assembly 1-11/16"